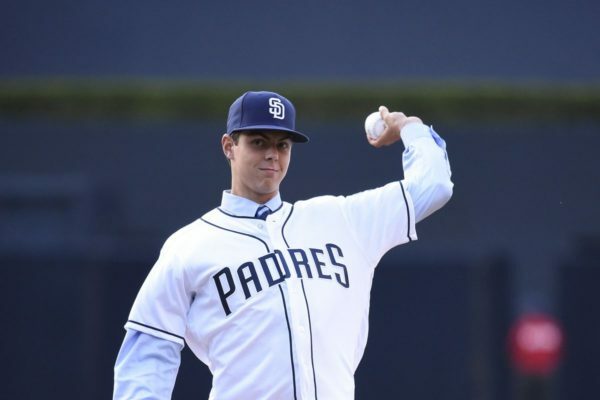 2018 was a trying season for San Diego Padres’ prized prospect MacKenzie Gore. He learned a lot about himself and the game of baseball, in what turned out to be a successful growth year for the young pitcher. The game of baseball is unpredictable. Just as you seemingly figure things out, the sport humbles you. 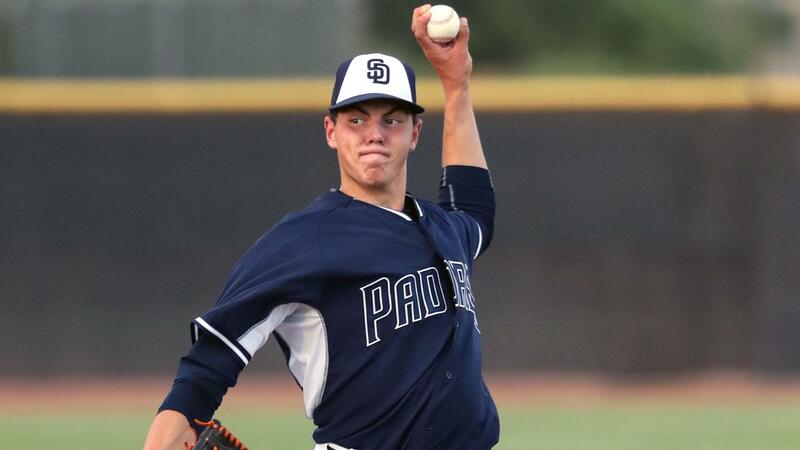 Most evaluators viewed MacKenzie Gore as a top prospect in the game and a fast-riser through the Padres’ system. The pitcher developed a blister issue in his second start of the spring in 2018. The problem lingered the entire season, which led to a maddening time for the young left-handed hurler. Forced to be a spectator in a game he loves, MacKenzie coped as best he could. That experience was hard for him, but if you asked him today- It was well worth it. He is a better pitcher now from the failures he suffered in 2018. For the pitcher to embrace this setback as a learning experience dictates the fantastic maturity level of Gore. “It was very frustrating, but it was a blessing in disguise. I am in a much better place mentally right now. I am a lot tougher than I was. I thought I was pretty tough (before). But I got through it, and I am ready to go,” Gore explained. 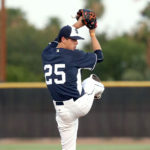 The dead-serious look in his eye left me with no reservations about his mental growth — just another hurdle for a young pitcher with a high ceiling. The native of North Carolina, spent time back with his family this winter. Gore needed time to reflect and to recharge those batteries for the upcoming grind of a minor league season. “The offseason was great. I was home all offseason and kind of got away from everything,” Gore said. 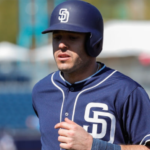 He loosely utilized a workout program given to him by the Padres to gain strength. “I had to eat more. Try to eat as healthy as possible to gain weight,” Gore said. 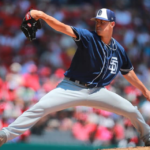 The Padres want the young pitcher to gain weight, and he is embracing the request. He has added some muscle to his frame and looks energized for the season. 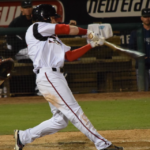 There is real talk that MacKenzie Gore could be a special player in the game of baseball. Evaluators like Jim Callis have shown plenty of love for the left-handed pitcher. “You know. That’s cool. You can only take so much from it. It is pretty cool to see him talk about you on T.V. and stuff like that. But you can’t get too caught up in the hype because the hype will ruin you. I ignore the noise, but it’s still pretty cool. At the same time, I can’t be too satisfied where I am today. He is talking about as good as I can be,” Gore said. He appreciates the great things said about him, but at the same time, he will not let that make him complacent. He is here to work. More often than not, things can get away from a young pitcher. The game can speed up on them, and before you know it, the damage has been done. Gore was honest in speaking about pitching when things aren’t going well around you. “Breathing is part of it,” Gore said after a brief pause to reflect. “The biggest thing is mistakes are going to happen. I walk people, and that is on me. Control what you can control. When you think about just winning the game you don’t get too caught up in mental errors,” said Gore with an intense look. This is an area he is working on improving. Calming himself and letting things go is yet another mental hurdle that pitchers need to overcome to improve. Self-evaluation is vital for growth. 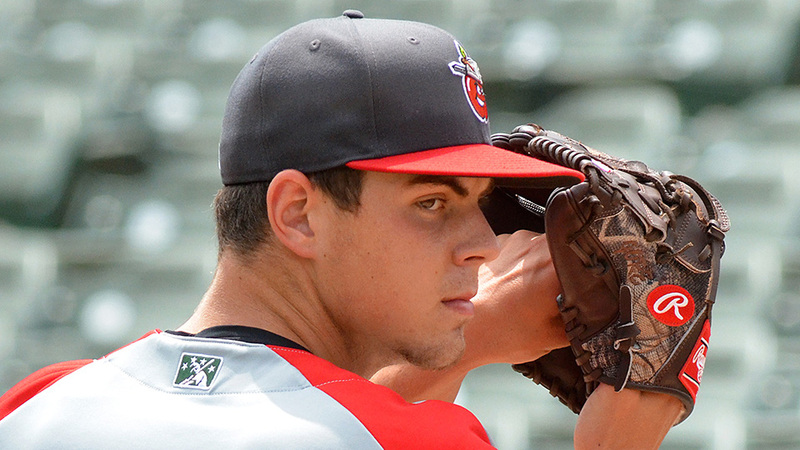 MacKenzie Gore knows how his season looked last year to those who digest the numbers. That doesn’t mean anything to him though. “If you look at the numbers, you are going to say Gore didn’t get a lot better last year. But I am so much better than I was a year ago. It is not even close,” Gore said confidently. He feels it and wants everyone to know it. “I want to dominate every day and take it one day at a time,” Gore said. 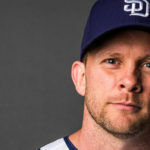 The conversation steered towards chemistry and the fact the San Diego Padres have a young farm system that is recognized in the industry. “When you build with chemistry, it continues to the big leagues. And that’s when you start winning some rings,” Gore said with a nod. He isn’t talking about minor league championships either. He wants to get to Petco soon and has the confidence to pitch there now. The mostly shy Gore is slowly coming out of his shell. He is very personable when you get to know him a little better. He enjoys the love he is shown on social media though he does not utilize it very much. “I am not great with social media. I don’t post a lot. I am just not very good at it,” Gore said. In time he will be more comfortable in his surroundings. At this point, Gore is focused on improving and being the best player he can be. “I want to dominate every day and control what I can control. If I do that, good things will happen,” Gore said with a confident grin. 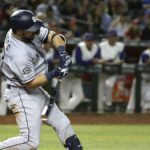 We are all looking forward to a long run of success for the Padres. 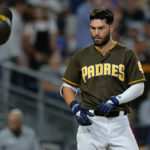 Do you think that management is forward thinking when it comes to the “years of service” issue in bringing up players like Tatis and Paddack. By that, do you think the CBA will fight to eliminate this and that the Padres win with fans and the new collective agreement?